The masses are hungry for great content. Awesome content. Content they want to view over and over again. Content they want to share with their family and friends. Great news, business owners: there are millions of people out there who want truly exceptional content, especially in a virtual landscape teeming with Digital Pollution. Drawing in potential customers is your first step to building a long-term relationship. So you need to create Awareness, which is the first stage in what we like to call Growth Cycle Marketing. 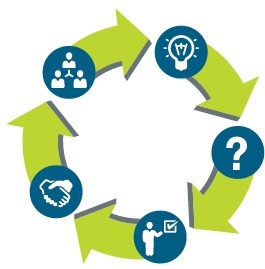 Nowadays the decision to buy isn’t a moment, it’s a process—so your marketing cycle must follow suit. Bottom Line: Content that’s “just ok” isn’t going to cut it. A meaningful incentive can be the extra nudge your potential customer needs to begin engaging with your business online. Go grassroots and pique their interest at a tradeshow or industry event with a postcard offering a free eBook download, complete with a scannable link or QR code. When visitors arrive on your website, always present a call-to-action offering a free consultation, free product sample, or a free eBook or online tool, depending upon your industry and target audience. People like well-presented free materials, so it’s a great opportunity to build your email list and create further opt-in opportunities for engagement. People like pretty pictures. If you’re posting blog articles like crazy with a less-than-optimal response rate, adding just one image per post is likely to up that engagement. (That is, assuming you’re writing engaging and useful material.) Really knock it up a notch and create a shareable infographic. Infographics use visually represented data, statistics and facts to paint an engaging portrait about an industry or a trend, or on just about any topic! Try these super cool infographics on for size—and hey, don’t sweat it: you can keep it simple or go all-out. Just be sure your infographic content appeals to your target market. Who doesn’t love a good laugh? (Especially on a Monday, Am I right?) Even if your products or services don’t naturally lend themselves to humor, get crafty and creative to unveil just how personable you really are. People want to purchase from companies they connect with, and humor is a great way to bridge the gap. The trick is to keep it snappy: funny and fast. 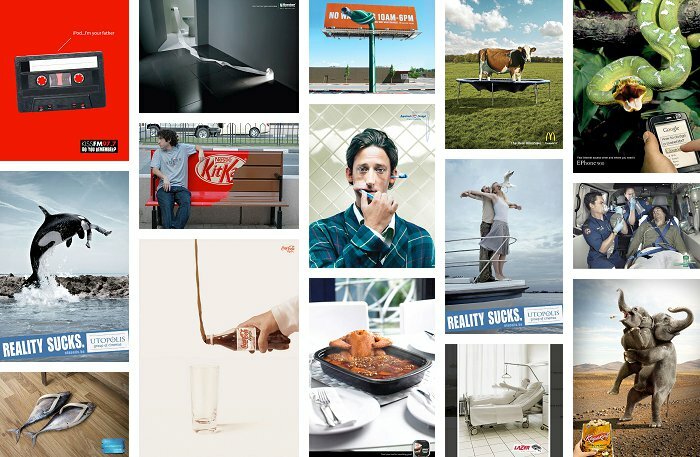 Check out these seriously funny print ads for inspiration. Stop trying to sell, sell, SELL! Instead, take a step back and ask yourself, What do my customers really want? Then, turn around and use that answer to craft better, more useful content. Be helpful and you’ll be remembered. Make it personal whenever possible. Show your company is thoughtful. Show you care. When you freely offer tips and useful information, your brand and your business will boom. Just remember, it goes both ways: don’t offer unhelpful information or spam: over time, you’ll most certainly lose that coveted trust you worked so hard to build. Ever try to open a link on your smartphone only to find that video won’t play, or the link doesn’t work right, or the font is ridiculously tiny? Bet you didn’t go back and try to open the link later on your desktop. Know why? Because you wanted that information right now. Later simply will not do. Don’t let content go forgotten, lost in streams of never-ending digital traffic. Instead, be sure your email and website is responsive. Your content is much more likely to get saved, shared, and viewed when it’s mobile-friendly and ready to go! There’s another way to be responsive: astounding customer service. To be honest, this ain’t no half-tip. Treat every caller, every website visitor, every social media sharer, every email subscriber—anyone who comes into contact with your business, even in the slightest—as though they’re you’re best customer. Excellent customer service is what keeps existing customers coming back for more and what makes hesitant would-be customers comfortable enough to interact with your business. Repeat customers are your most priceless possession. If you do it right, your existing customer base will start spreading Awareness FOR you. Now that’s making the most of your Growth Cycle Marketing strategy!